So here’s a little update on the mice I currently use at least every once in a while and my opinion on them after months of use. My favourite mouse for now. The only think I dislike about it is the crappy scrollwheel, it feels cheap, it works OK but the amount of ‘clicks’ per revolution is too low. My trusty old Deathadder doesn’t get much use these days. I think it’s too big to comfortably throw around, other than that it’s still great. Too big, the left click seems to misfire every once in a while and the weird acceleration issues of the Philips twin-eye sensor have degraded this mouse to my backup mouse at work. A great wireless mouse. Zero lag on the wireless, decent playtime on batteries and the ability to switch to wired mode very quickly. The glowing charging station and glowing scrollwheel are totally over the top, draws a lot of questions (“Didn’t it glow blue 5 minutes ago?”). The battery adds a bit of weight, but other than that it’s basically a Deathadder with a worse sensor. Again the Philips twin-eye sensor with it’s acceleration ruins it for me. Therefore it’s my default mouse at work. Great mouse with only minor acceleration issues. Lovely scrollwheel. The crazy LCD on the bottom of the mouse allows me to set everything I want. A small issue is the ‘boot’ time of the mouse. Feels like it takes 10 seconds for the mouse to become usable after plugging it in. Lovely shape, decent sensor. The scrollwheel totally ruins this mouse for me, it’s even worse than the Abyssus one. It’s loud, has a horrible feel to it and the ‘clicks’ per revolution is the lowest of them all. 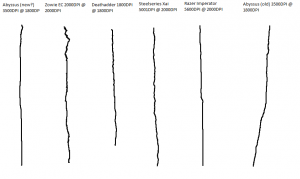 Here’s a little test comparing a bunch of different mice and sensors. 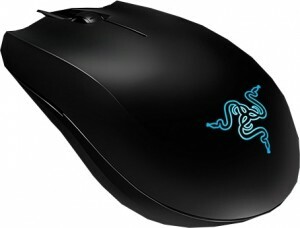 With all mice I tried to move straight down on a Razer Goliathus Speed cloth pad while drawing a line in MS Paint. All mice had prediction aka drift control disabled so the lines aren’t artificially straightened by the mouse. As you can see in the picture the mice varied quite a bit in their behaviour. 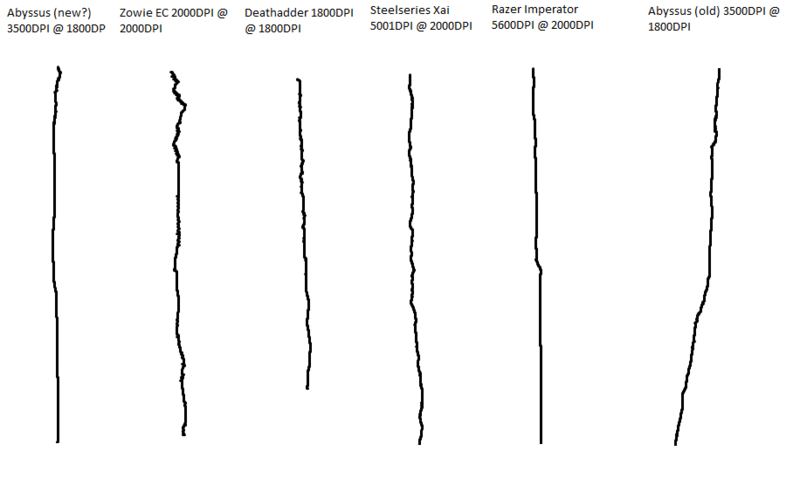 Judging by the picture you might think that both the Abyssus and Imperator had excellent performances while the Zowie EC2 and Xai didn’t do so well. But what the picture doesn’t show is the amount of negative acceleration experienced during this test. The Imperator slowed to a crawl, forcing me to move it quite a bit further to get the same line. 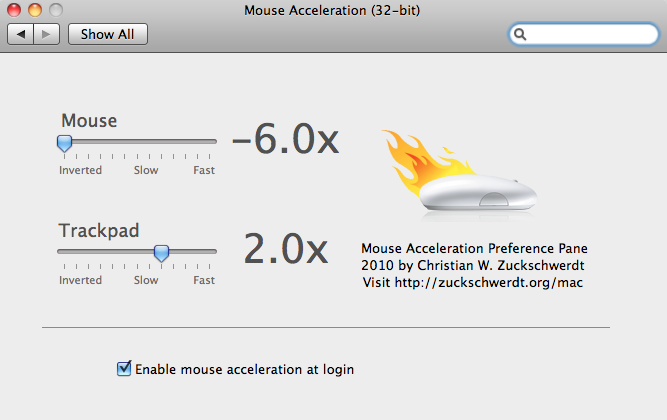 None of the other mice showed this behaviour and surely the “Dynamic DPI scaling” of the Imperator is the problem here. What is clear from the picture is how horrible the Zowie EC2 is on a Goliathus Speed mousepad. After all my Razer mice reviews, it was time for something else. A non-Razer gaming mouse. 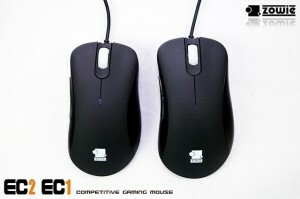 I’ve chosen the Zowie EC2. Zowie has a small product line-up. 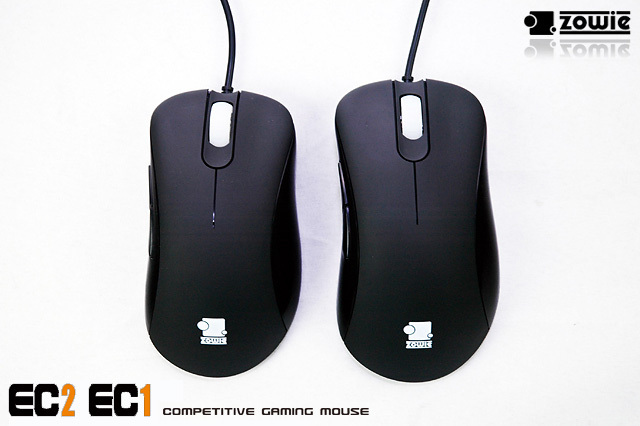 They sell an old, but great Microsoft mouse and two mice of their own: The Zowie EC1 and EC2. These mice use the same hardware in a different shell. The only difference seems to be the size. I’ve chosen the EC2, the smaller mouse. The EC1/EC2 use a Avago ADNS-3060 sensor at a 2000 max DPI. 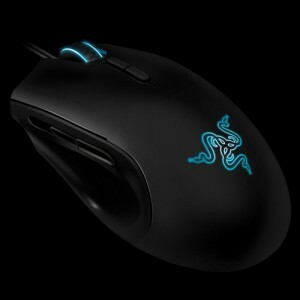 There are a few other mice that use this sensor, some A4Tech mice and the Steelseries Ikari Optical for example. Overall the sensor is pretty good. Zowie chose to keep some prediction/drift-control activated in the firmware, but on a minimal setting. There are some jitter issues on cloth pads (Razer Goliathus for example) and tracking on semi-shiny surfaces can be quite bad. My trusty old Deathadder 1800DPI has less jitter and that’s a mouse with all drift-control disabled. The mouse gets polled at 1000Hz by default, so you won’t have to install USB hacks or drivers. You can adjust the DPI by using a button on the underside of the mouse. There are 3 settings: 500, 1000 and 2000DPI. The scrollwheel changes color when changing the DPI. A nice way to show which DPI is active. The overall build quality seems a bit sub-par for the amount of money you pay for one of these ‘heatoN-approved’ mice. On the box there’s a sticker that reads “most durable and precise mousewheel”, but in reality it feels really cheap. Sometimes you can hear the click of the scrollwheel, but no scrolling movement is registered. It’s simply one of the worst scrollwheels I’ve used in a recent mouse, feeling even a bit worse than the Razer Abyssus scrollwheel. The two side buttons don’t feel very good either, but they get the job done. The main mouse buttons and scroll-wheel button are just fine. The rubber coating on the black Zowie mice is quite similar to the one on the Deathadder, and feels very nice. The same kind of coating seems to be used on the mouse cord. 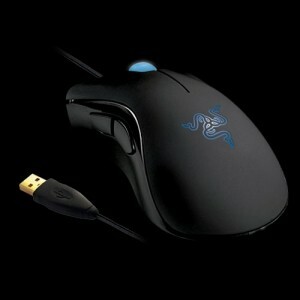 This makes it less likely to get tangled up like with the original Deathadder. Overall I quite like this mouse. Being slightly smaller than the Deathadder it’s easier to throw around your mousepad. The rubberized feel and the mouse buttons are fine, the sensor performs well enough to be used on most surfaces at high speeds. I’m slightly disappointed with the overal price/performance ratio. The sensor has some jitter issues, the scrollwheel is terrible and the side buttons make the product feel cheap and flimsy. These issues don’t prevent it from being a great mouse which I’d recommend. 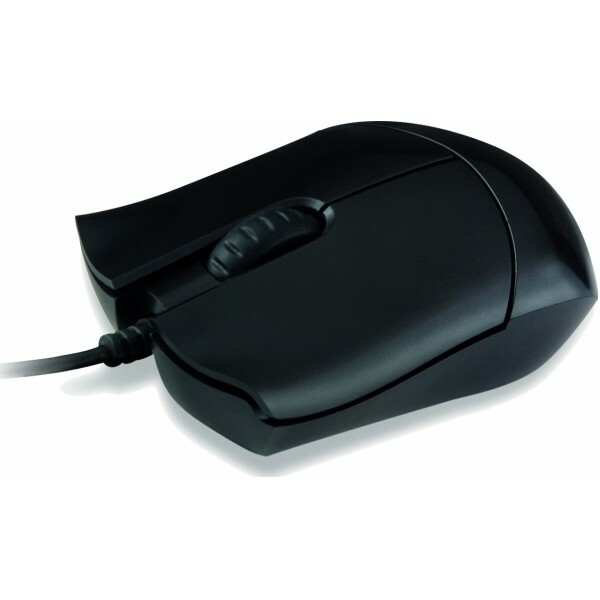 Especially people looking for a mouse that’s slightly smaller than the MX518/Deathadder/IME3.0. It’s been nearly 4 years since the original Razer Deathadder was released. After some initial issues, a few firmware updates made it a nearly flawless mouse. Since then, Razer, Logitech and other manufacturers have released many new mice, none of which I’d recommend over the trusty old Deathadder. Logitech MX518, 125Hz polling rate by default, prediction, otherwise flawless afaik. Both the old 1600DPI, and the new 1800DPI. Razer Boomslang CE07, rubber buttons wear very quickly. Apparently, releasing a new mouse with OVER 9000 DPI AND BUTTONS is more important than flawless tracking to all these mice companies. 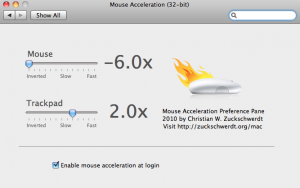 With the recent release of Portal and Team Fortress 2 for the Mac I’m guessing there are quite a few gamers that have noticed the horrible acceleration that’s default on OS/X. I’ve finally managed to find a little tool that can give you 1:1 mouse/pointer movement, just like you can on Windows (with the help of some regtweaks and system file patchers).